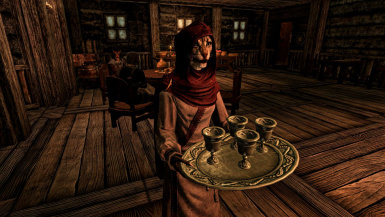 Dragonborn estate offering followers, potential marriage partners, blacksmith, mage, cooks, estate-keepers, bards, & vendors. 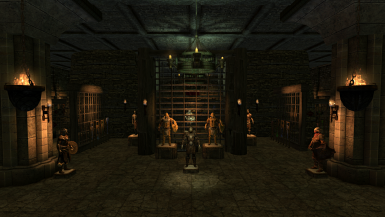 Huge armory, smithy, arcane area; individual quarters for NPCs. 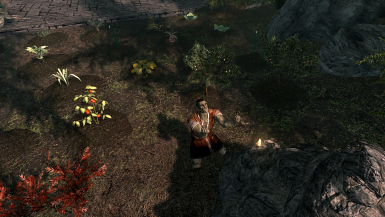 Hearthfire features (with and without adoption versions) offering plantable gardens, livestock, stables & horse, libraries, & cloud storage. I am not the author of any assets featured in Dragonia. Therefore the use of any such assets must be with the permissions allowed by the original artists (See Credits section and the links provided). I do not give permission for Dragonia to be uploaded anywhere; nor altered, or modified except for personal use on an individual's pc. 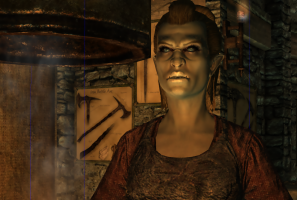 I do not give permission for Dragonia to be converted to work with Skyrim SE without my expressed and written permission. 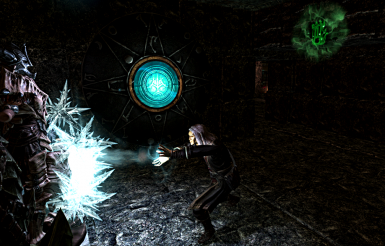 Many modding resources are used in Dragonia. I have credited mod authors and artists whose assets are featured with links to their pages. In some instances, additional credits to other artists are acknowledged by the resource modders and I would like to take this opportunity to thank and acknowledge those creators as well. 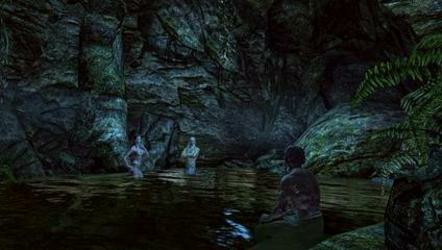 Information about them, where applicable, are featured on the modder pages which I have linked. If I have overlooked crediting any mod author or did not follow your permissions as intended, please accept my all out apologies. Contact me through PM and I will address your wishes. 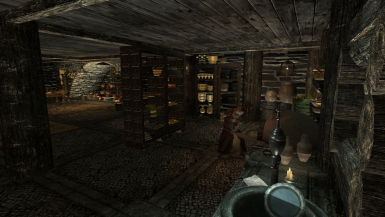 Dragonia 1.1 replaces the original file version (1.0). If you updating from Ver. 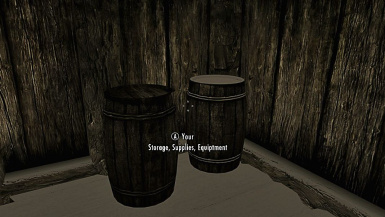 1.0 , it is best to remove any items that you placed and wish to keep from the armory, storage containers,cloud storage, and player planted items in gardens. 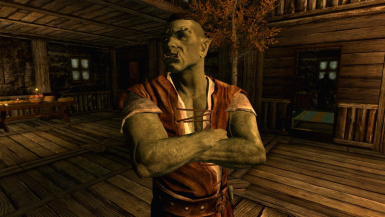 While I have not experienced problems retaining followers, spouse, and kids without moving them outside of the mod location, to be absolutely safe, you may wish to move applicable NPCs before removing and then reinstalling the mod, or try keeping them in the mod to see if things work out before proceeding with your game once you have installed the latest version. Remove the old version. Install version 1.1. Then reassemble your items as you see fit. 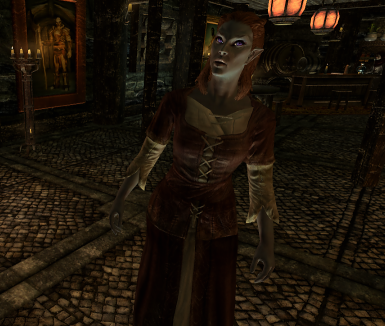 *Armor placed on mannequins will not unequip after leaving the cell for several days. 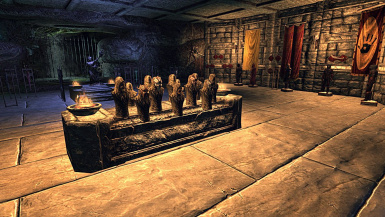 *Speciality items such as claws, dragon priest masks, Daedric weapons and artifacts will not disappear or get stuck in place after leaving the cell for several days. *Items placed in storages are now safe. *Vendor inventories update (as soon as player reenters the cell). *File version 1.1.a only cleaned up 2 reference not in use. 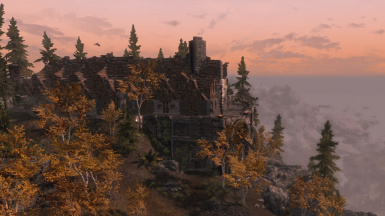 Dragonia is a large estate offered to those destined to be Dragonborn. 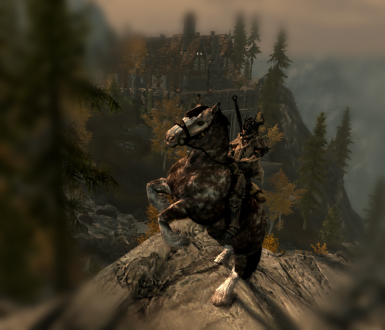 Located within the foothills of the Throat of the World, it has served those few so gifted through the centuries. 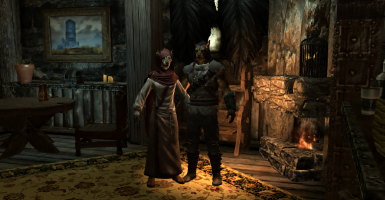 Now the Divines have blessed you with the powers of Dragonborn, and this home is bequeathed to you if you choose to accept it. Ver. 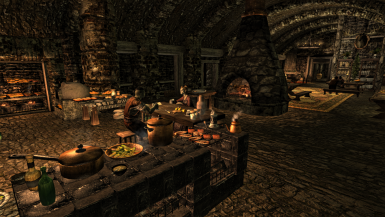 1.1.a is the original mod and includes all Hearthfire (HF) features including room for 3 adoptable children and spouse. See detailed features below. Ver. 1.1 NA is for players who do not want to adopt children. 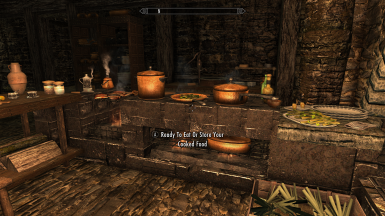 Still the mod includes all of the other HF features, such as planting, cooking, and other features mentioned here but without adoption. 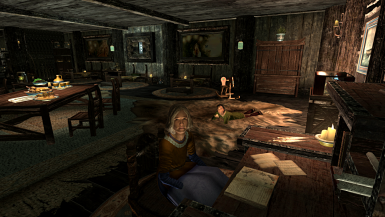 In place of the living area set aside for adoptable children in the original mod, there is now room for 2 additional follower companions, those that are closest and most treasured by you the player. 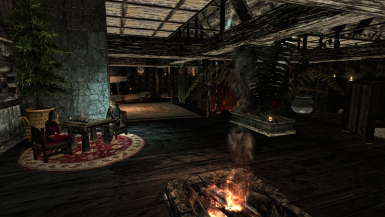 Each have their own living space, private rooms, and bathroom within the main house. A few other aesthetic features have been added or modified. The house remains compatible for marriage if you choose to take a spouse. 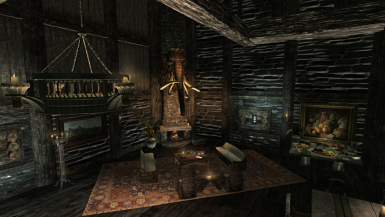 Also, this version of the mod continues to work with Hearthfire Multiple Adoptions to support making this house your home for your spouse as well as the fluid movement of a spouse both indoors and outdoors. However, DO NOT attempt to adopt children in this version as it will likely cause problems. My Home is Your Home (MHiYH 2 Plus) has been tested with Dragonia, and it works very well with followers and spouse. 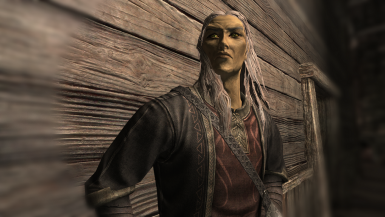 Dragonia becomes available with a courier quest once the mod is loaded and you have traveled to a new habitable location (excluding Helgen, Orc strongholds and the College of Winterhold) . Simply follow the quest marker and the directions you receive. 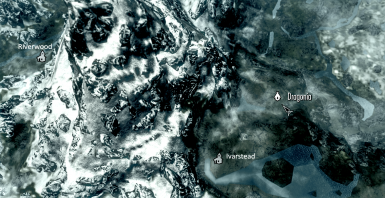 Dragonia occupies a large area atop a plateau directly below and east of the Throat of the World and northeast of Ivarstead as shown here on the Skyrim Map. It will conflict with any mods that occupies that area. If you have concerns about space conflicts, make a post and I'll gladly take a look. I've already found a few listed below under "Known Conflicts". Be sure to retrieve the three (3) items from the strongbox upon completion of the acquisition quest: KEY, JOURNAL, & DIRECTIONS. 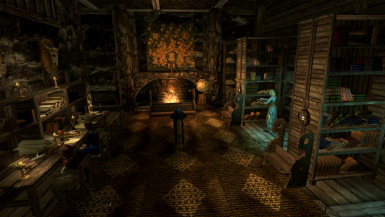 Main 3-story residence is your living place and includes kitchen, dining areas, living and study spaces, and a Hearthfire compatible room for up to 3 children (or 2 followers of your choosing with the "No Adoption" version). The 3rd floor is your private space--an expansive bedroom suite where you can read from your private library, relax and enjoy the roaring fireplace with someone special, soothe yourself in a relaxing hot water spa, or just get well-rested in the sumptuous master bed. 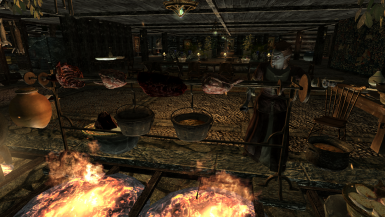 Dragonia works with Hearthfire features including having adoptable children and your spouse move in (for this feature, you will also need to install Hearthfire Multiple Adoptions which is linked above). There is plantable farming as well as a trellis tranquility garden. There is livestock and apiaries. 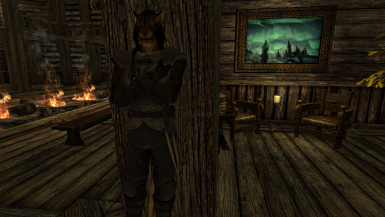 Dragonia offers a stable for your resident horse (with space for others you may wish to acquire). The views, especially at night, are breathtaking to behold!. 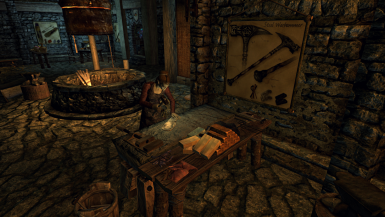 blacksmith hard at work, and a multi-functional arcane work-space and living quarters for the resident mage. exclusive vendor services to you. 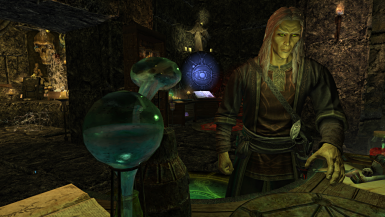 tales of adventures from long ago, or do some research on the Daedra, the Dwemer, or learn about the cultures and histories of Tamriel. the pool's cool waters will ease your stress as you enjoy the scenery. 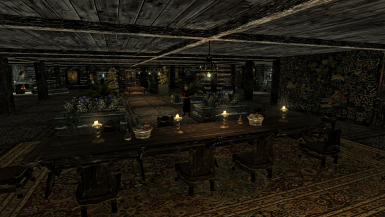 The well stocked bar will quench your thirst. 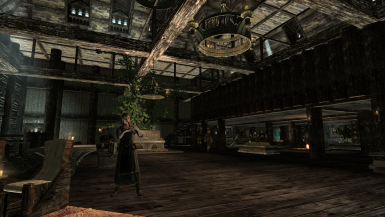 Festive music will fill your ears and, if that were not enough, your resident bards happily take requests. 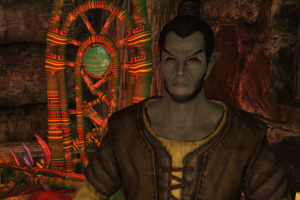 Near the Grotto you can access the Ruins of Dragonia; a long abandoned dark temple to the Daedra...awaits your exploration. 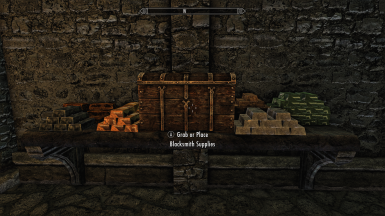 Armor, weapons, books--definitely...but also gems, arcane items, food and drink, clothes, jewelry, notes, keys (these things shouldn't be weighing you down in your inventory!). 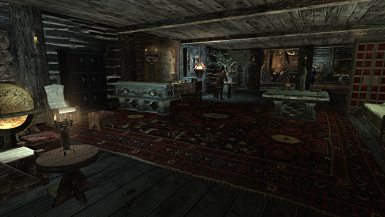 There is even storage (and a creepy workspace) for the items you need to create weaponized spiders featured in the Dragonborn DLC. 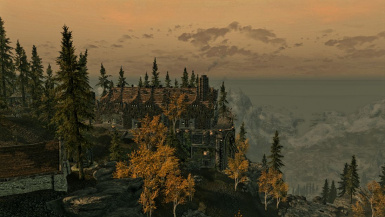 Dragonia offers cloud storage with many access points throughout the estate and Skyrim. While not required for this mod. 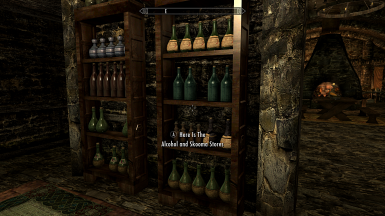 SkyIU will give you the sorting menus that best displays and manages the inventory in cloud storage (especially for hoarders like myself) and the items you wish to keep in your player inventory. 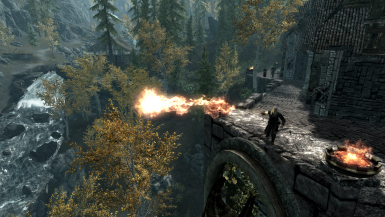 (SkyIU is not required for Dragonia, but it is one of those mods for Skyrim that you won't live without once you do use it. SkyIU does require SKSE) See the README tab for additional information on storage. 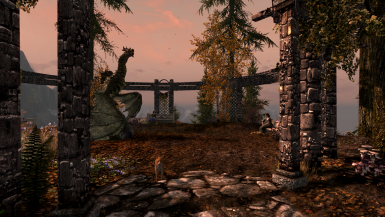 Use a mod manager of your choosing for automated installation or download this mod manually and place Dragonia.bsa and Dragonia.esp in your Skyrim Data directory. 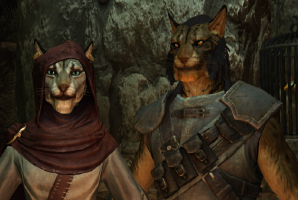 If downloading manually, be sure to enable this mod in the Skyrim Launcher Data Files. 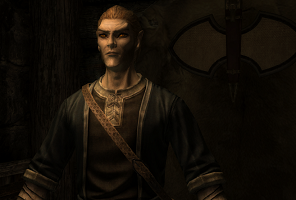 LOOT is a program that can ensure proper load order of all your mods. 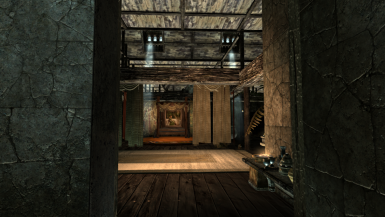 This mod is large, comprised of 6 interior and 7 exterior cells. It is liberally cluttered and likely will not run so well on a system that is not at least comparable to my own. 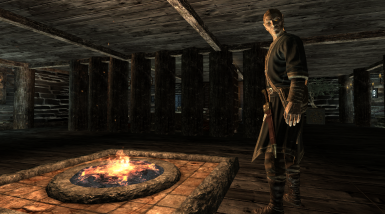 Due to the very large cell where the armory, blacksmith, and arcane are located, you may experience an occasional CTD when using load doors going to this cell. There are many armor, weapons, mannequin, and storage scripts loading all at once as you enter so be aware and consider doors leading in here opportunities to save before entry. Saying that, I rarely encounter CTD. Thank You For Generously Sharing Your Knowledge & Talents! If I have excluded crediting anybody, please forgive me, it was inadvertent. I will gladly rectify any exclusions or misunderstandings. Build Your Own City - Occupies same area. 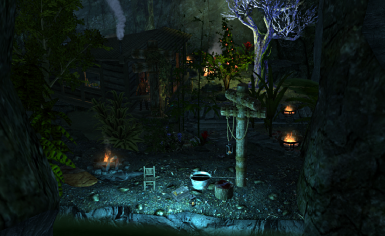 City of Pinemist - Occupies the same area. Reapers Witchwood Forest and Cabin -Occupies same area. 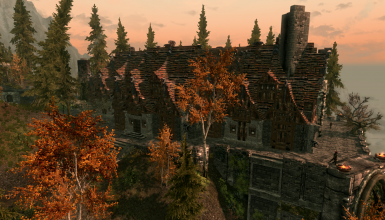 Durmstrang Manor - Occupies the same area. 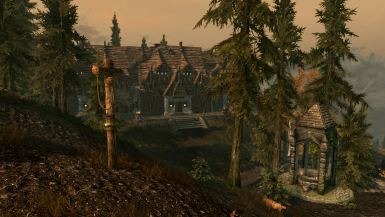 Legendary Cities -TES Arena - All-In-One version is not compatible with Dragonia. However, you can use the modular version of Legendary Cities and exclude Nimalten (which occupies the same location as Dragonia). 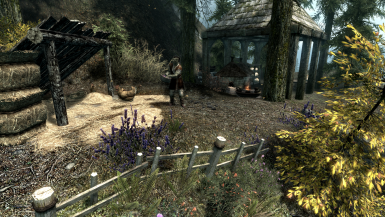 Rigmor of Bruma - Has camp right in back yard of Dragonia. 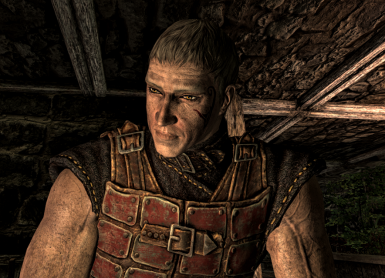 The People of Skyrim - Has Dwemer ruins in the same location as Dragonia. Wind Path - By itself should be compatible with Dragonia but it does bump right up to one of the cells occupied by my mod. 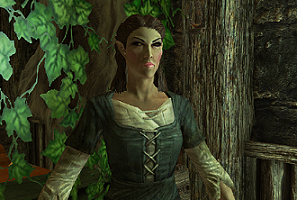 However, Wind Path's optional add-on, River Rock, will conflict with Dragonia.